L to R: Nicholas Tozer, Oscar Vicente, János Martonyi, Pál Varga Koritár, Robert Urban and Tomas Kertesz. 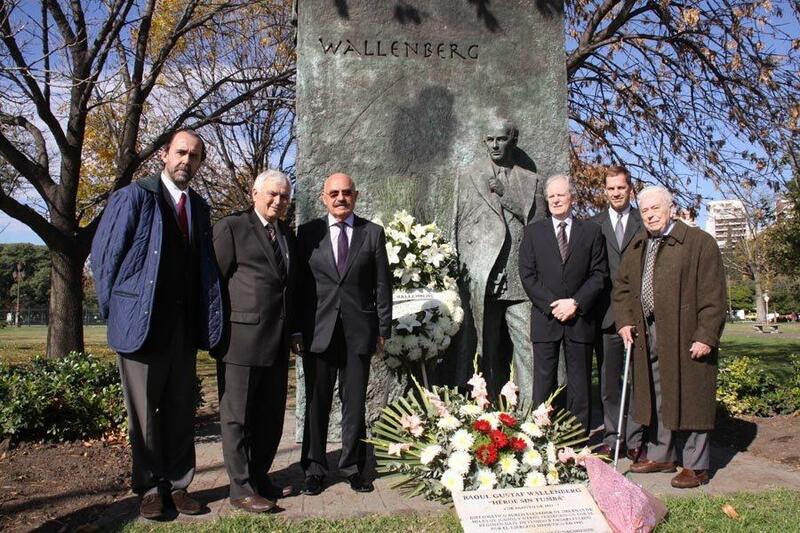 On Monday, 14 May Hungarian Minister of Foreign Affairs, Mr. Janos Martonyi, visited the Raoul Wallenberg’s memorial statue, located at the corner of Figueroa Alcorta Avenue and Austria Street, in the City of Buenos Aires. 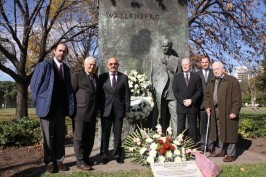 Invited by the International Raoul Wallenberg Foundation, an educational NGO founded by Baruch Tenenbaum, with offices and correspondents in Buenos Aires, New York, Berlin, Rio de Janeiro and Jerusalem, the minister’s visit is part of the calendar of activities that the IRWF has designed in the Centennial Year of the Raoul Wallenberg – the “Hero without a Grave” – the Swedish diplomat who saved thousands of lives during the Holocaust. Hungary Foreign Minister, János Martonyi. Foreign Minister Martonyi laid a floral arrangement and called for a minute of silence to pay tribute to the diplomat who in Budapest, accomplished one of the most extraordinary humanitarian feats in modern history. Mr. Martonyi was accompanied, among others, by Pál Varga Koritár, Ambassador of Hungary in Argentina; Oscar Vicente, Chairman of the NGO Casa Argentina in Israel Holy Land; Nicholas Tozer, Member of the Board of the Wallenberg Foundation, New York; Thomas Kertesz, saved by Wallenberg in 1944 and Robert Urban, representing Mr. Eduardo Eurnekian, Chairman of the Wallenberg Foundation. 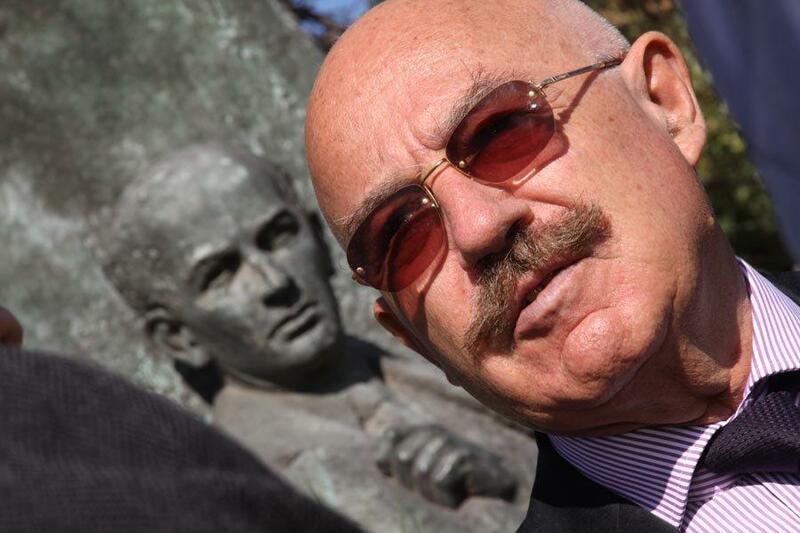 Among other activities in the Centennial Year, the IRWF has produced an special video with a televised speech delivered by US President Barack Obama, exclusively dedicated to Raoul Wallenberg, a fact without precedents in the history of the United States. Wallenberg was born on 4 August 1912 and went missing on 17 January, 1945 after being arrested by the Soviet Red Army. Since then, nothing is known of his whereabouts.